When doing historical recreation it is important to keep in mind all the layers that went under the garment. This is especially important when corsets, hip pads, and hoop skirts change the silhouette of the human body. The silhouette of dress in the 1660's was mostly controlled by a heavily boned bodice, hip pads, full skirts and full sleeves. Before I can go about draping the bodice and skirt on the form I need to create the bottom most layer: the chemise. 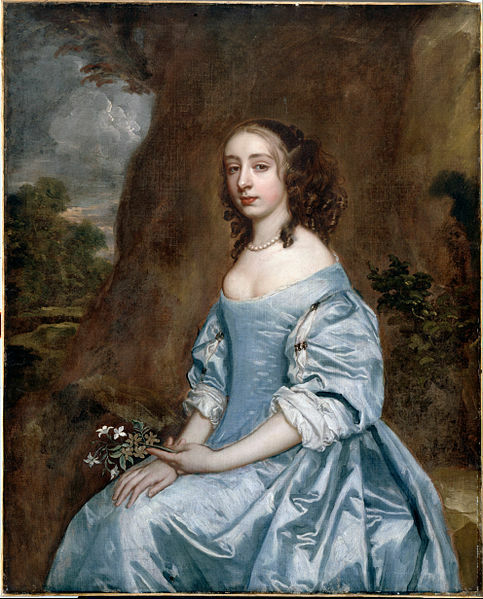 In the 1660's the neckline of the chemise was visible above the top edge of the bodice and the sleeves could be seen through slits of the sleeves on the outer dress and at the bottom edge by the elbow. Linen was the most common fiber used for the chemise, so in my recreation I will be using a lightweight tissue linen. For my reference on how to make the chemise I consulted several books: Period Costume for Stage and Screen, The History of Underclothes, and Underwear: Fashion in Detail. There are no surviving examples of chemise's (chemi!?!?) from the 1660's in particular so my design is a combination of several different descriptions of the chemise style worn in the 17th century. Period Costume for Stage and Screen details a chemise with underarm gussets, side godets, and a drawsting neckline with a small ruffle. The sleeves are gathered on the upper edge by the armseye and gathered into a bound cuff that falls around elbow length. The History of Underclothes details that chemise sleeves were eventually left plain and were tied around the arm with ribbon in order to make a small ruffle. I decided to base my design mostly on the pattern detailed in Period Costume for Stage and Screen, with a few small changes. I created a drawstring neck opening without a ruffle since I liked the plain look of the chemise shown on the neckline of several of the gowns in the paintings I posted earlier. I also tried out both the ribbon tied sleeve and the bound sleeve. I decided I liked the look of the ribbon tied sleeve more. I created a mock up in plain cotton muslin to check the fit and the sleeve styles and then made up the final version in white handkerchief linen. The final version was sewn by hand with a running stitch for the seams. I used a small whip stitch to tack the seam allowances down. The drawstring at the neck is drawn through two hand worked lacing holes. And now the final finished chemise! Next will be the draping of the skirt!